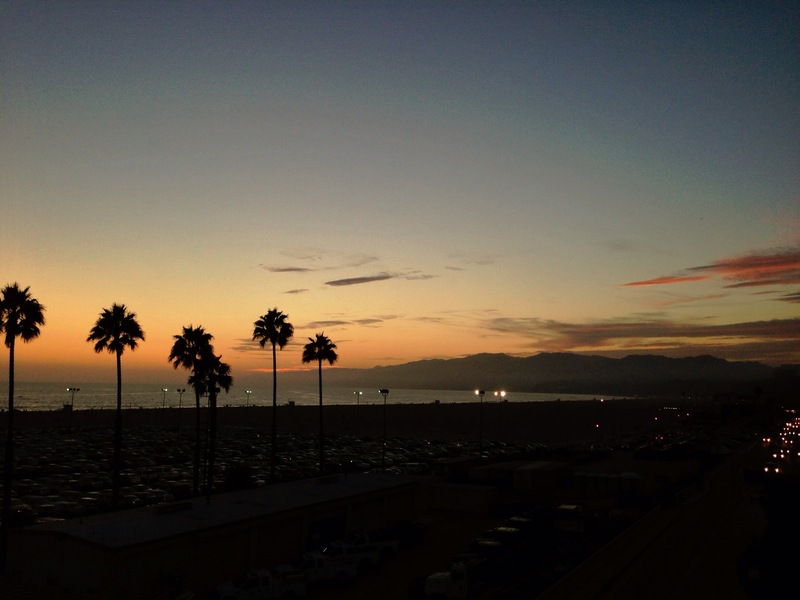 On a balmy summers Saturday night we walked along Santa Monica Pier and watched the sun set over the beach. It felt surreal and dreamlike, partly from the jet lag and partly because we were no longer talking about when we would walk along Santa Monica Pier, we were actually doing it… what a buzz! Buba Gump Shrimps, churros, fairy floss, fortune tellers, fisherman, singers, dancers, swimmers, and some dude with two massive snakes around his neck, all attracting their own crowds… all the while, the happy and sometimes freaked out screams from the thrill seekers on the rides at Pacific Park, filled the air. A pretty cool end to my second Saturday night this week! This entry was posted in Photography, travel and tagged inspiration, LA, postcards, santa monica, travel. Bookmark the permalink. Great idea – postcards of your trip. Hope your trip is a wonderful experience and that you create many terrific memories.